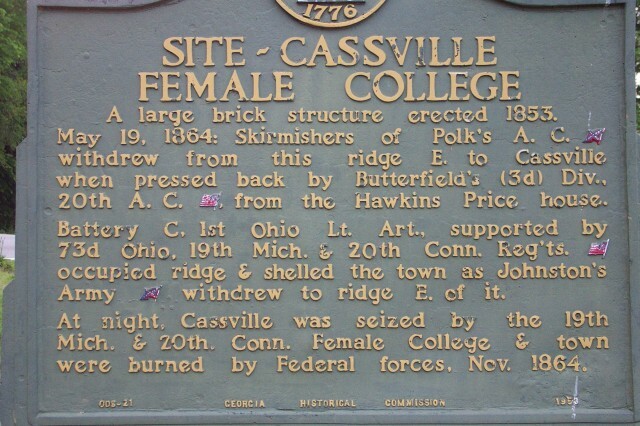 This is the sign at the site of the Cassville Female College which was burned by Sherman. This is located on Highway 41, just north of Fire Tower Road. 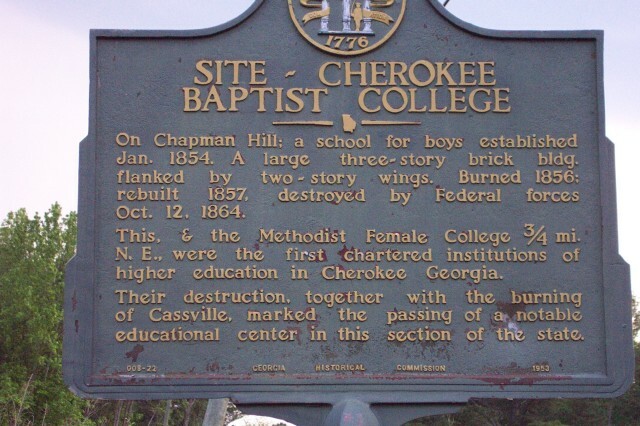 This is a sign at the site of the Cherokee Baptist College on Fire Tower Road, just past the fire station. It too was burned by Sherman. First raised in 1810 over the fort of Baton Rouge, Louisiana, by a band of Florida troops, the Bonnie Blue served as the symbol of southern independence, and as the official flag of the Confederate States of America, until it was replaced by the Stars and Bars in 1861. The Bonnie Blue was used by the Republic of Texas from 1836 to 1839. In 1861, it flew over the capital building in Jackson, Mississippi, inspiring the southern patriotic song - "The Bonnie Blue Flag," composed by Harry MaCarthy. It was also used in one form or another by numerous southern confederate states. From March of 1861, through April of 1863, during America's Civil War, the Stars and Bars was the official flag of the Confederate States of America. The white stars on the blue field represent the original Confederate States of Alabama, Florida, Georgia, Louisiana, Mississippi, South Carolina and Texas. As more states joined the Confederate States of America, the above flag was the final version of the Stars and Bars. Replacing the Stars and Bars in May of 1863, the newest design (shown above), included the Battle Flag (or Southern Cross) on a white field. It's main purpose was to help eliminate battlefield confusion between the original Stars and Bars, and the U.S. Stars and Stripes. The thirteen stars represented the original seven Confederate States, as well as the states of Arkansas, North Carolina, Tennessee and Virginia. Note that Kentucky and Missouri each have a star, but efforts to secede from the Union within their individual states eventually failed. Regardless, the stars remained. The final flag of the Confederacy was adopted on March 4th, 1865, just before the Confederacy broke apart. This version now featured a wide red bar. Perhaps the most recognizable flag from the Civil War period was the Confederate Battle Flag (shown above). 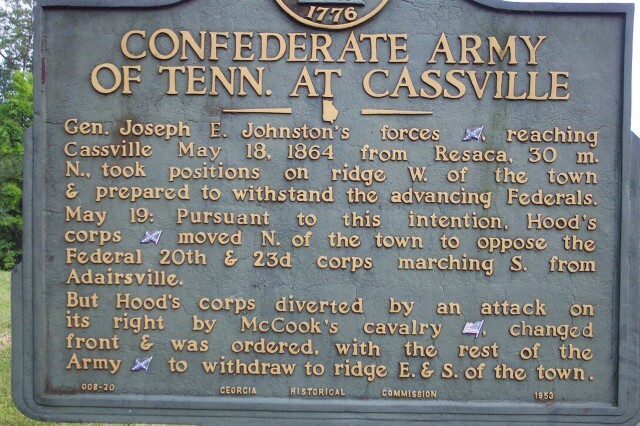 It was carried by Confederate troops throughout the war. Beginning in 1863, this flag was used at sea by the navy, and became (in many ways) the recognizable symbol of the southern states.